Acrobatics (from Greek Akros, high and bat, walking) is one of the performing arts, and is also practiced as a sport. Acrobatics involves difficult feats of balance, agility and coordination. Nearly any performance or sport which involves full-body activity-especially in short, highly controlled bursts of activity-can be considered acrobatics. Typical examples are, first and foremost, all the subdivisions of gymnastics and trapeze work, but specialized activities like ballet and diving could also be included. In a narrow sense, the term "acrobatics" refers to "acrobatic gymnastics," a specialized subdivision of gymnastics. Acrobatic traditions are found in many cultures. In the West, Minoan art from circa 2000 BC contains depictions of acrobatic feats on the backs of bulls, which may have been a religious ritual. The court displays of the European Middle Ages would often involve acrobatic performances along with song, juggling and other activities. Though initially the term applied to tight-rope walking, in the 19th century, a form of performance art, including circus acts began to use the term as well. In the late 19th century, tumbling and other acrobatic/gymnastic activities became a competitive sport in Europe. Acrobatics in Western history have become a key subject for fine art. An excellent example is Acrobats at the Cirque Fernando (Francisca and Angelina Wartenberg) by Impressionist Pierre-Auguste Renoir which depicts two German acrobatic sisters. The painting resides at the Art Institute of Chicago. In China, acrobatics ("Hundred Plays") have been a part of the culture since the Western Han Dynasty, over 2500 years ago. Acrobatics were part of village harvest festivals. During the Tang Dynasty, acrobatics saw much the same sort of development as European acrobatics saw during the Middle Ages with court displays during the 7th through 10th century dominating the practice. Today the performance art remains to be one of the most important performances offered within Chinese variety art, mostly referred to in the west as "Chinese Circus". Traditionally, acrobatic skills were kept within families and passed from parents to children. This is still true especially among family circus groups nowadays. However, most acrobats are now taught by larger scale education systems, as circuses are now made up of many more professionals than they used to be. 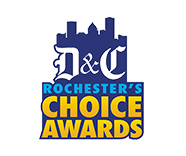 Dance Connection in Rochester, NY offers a variety of Acrobatic classes for students of all ages!